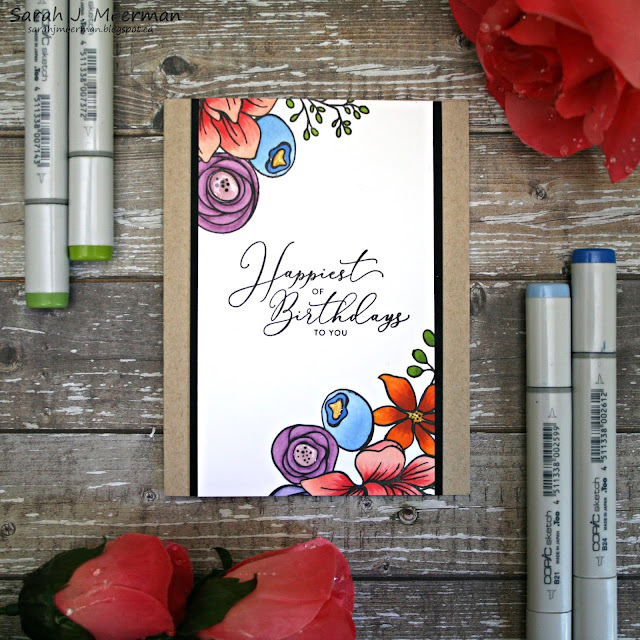 SSS Happiest of Birthdays & October Card Kit Winner! I'm popping by to share a card using the stamp set from the now sold out Simon Says Stamp October Card Kit. Although the Card Kit is sold out and the Sketched Flowers Stamp Set is out of stock you can get notified when the stamp set is back in stock HERE. 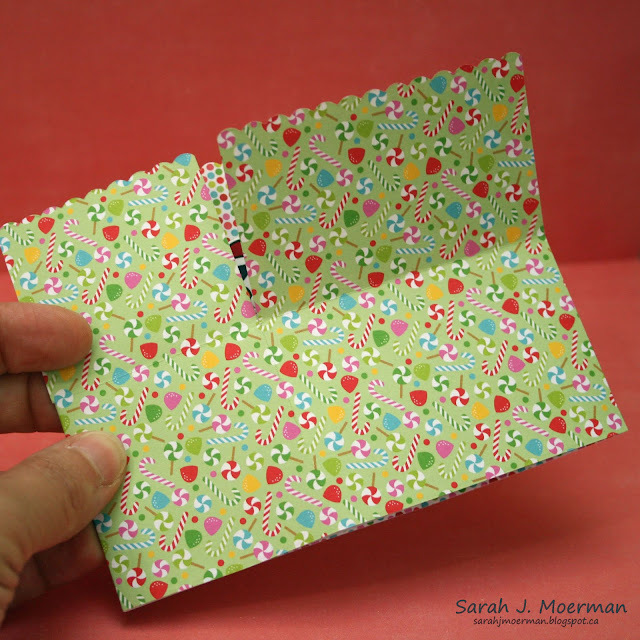 Stick with me to the end of the post to see who the winner of the October Card Kit is. 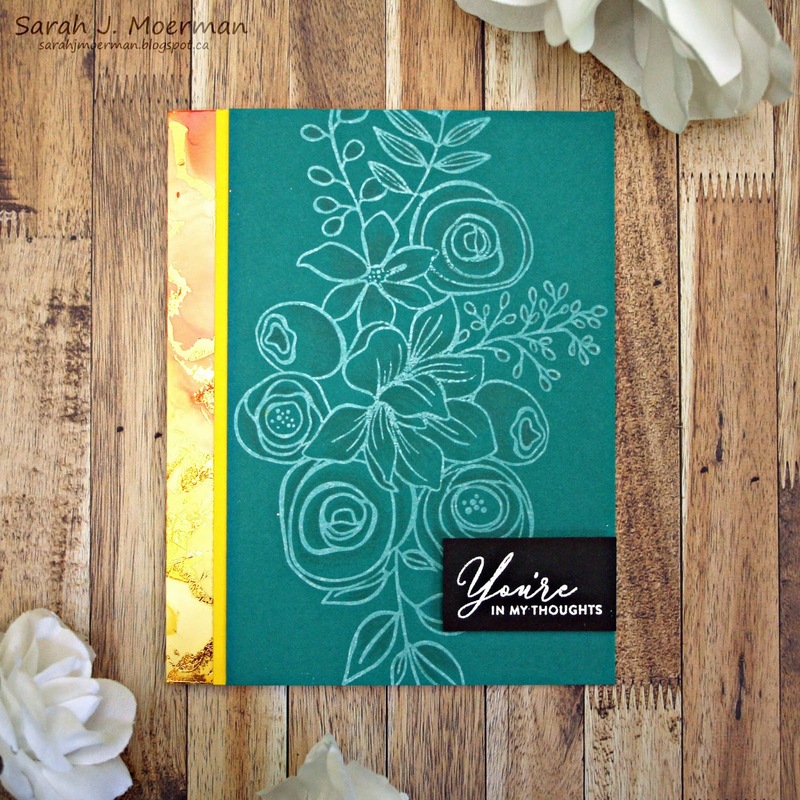 For the card I'm sharing today I decided to make a card featuring just the Sketched Flowers Stamp Set since it will still be available for purchase even though the October Card Kit isn't. I stamped the sentiment on a piece of Simon's 120 LB White Cardstock with Versafine Onyx Black Ink. 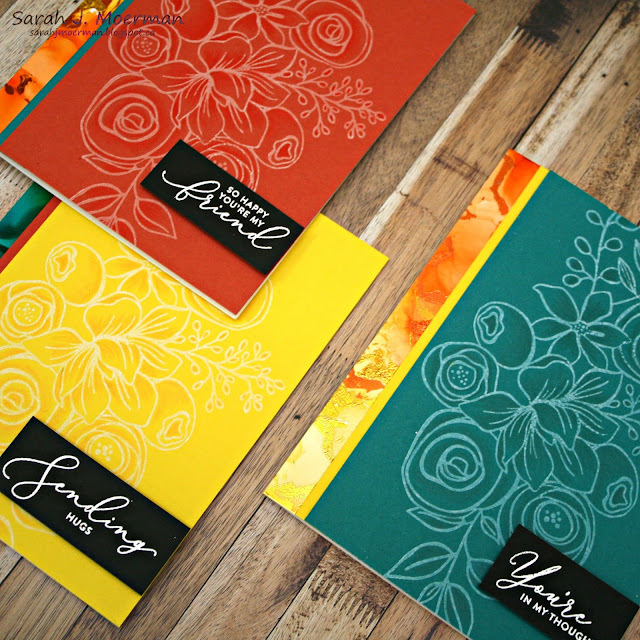 I then stamped different parts of the large floral image on the top left and bottom right of the panel with MFT Black Licorice Hybrid Ink and coloured the flowers with Copic Markers. I matted the sides of the coloured piece with Simon's Black Cardstock and adhered it to a notecard made from Neenah Desert Storm Cardstock. Finally, I added some Glossy Accents to the flowers centers. 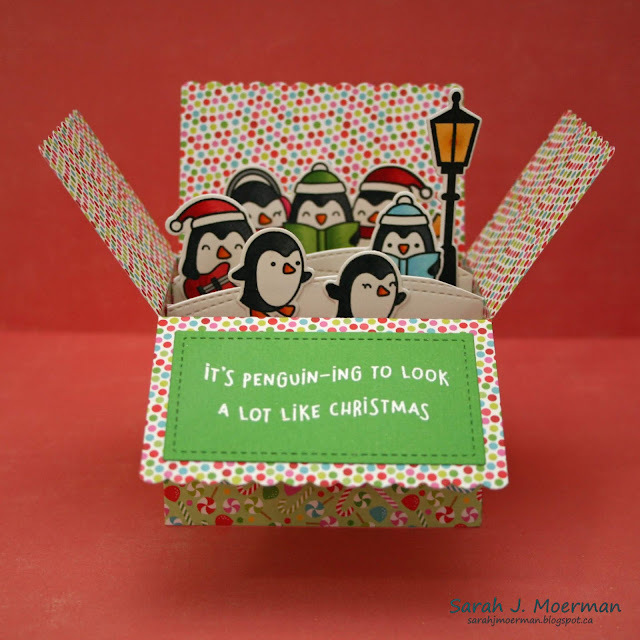 Now for the winner of the Simon Says Stamp October Card Kit. Wow your cards turns out so beautifully!! And a great kit indeed! Congrats Cindy! Please message me via my sidebar with your mailing info so I can pass it on to Simon Says Stamp. Thanks everyone for stopping by! Enjoy the rest of your weekend! 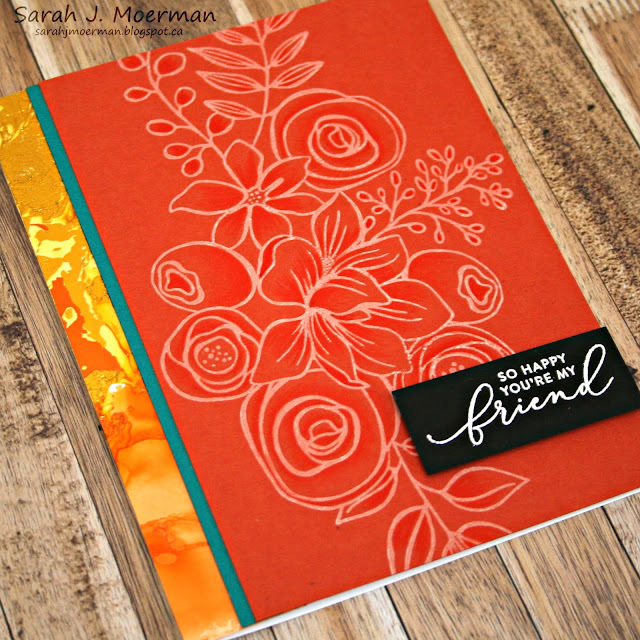 My month of guest designing for the Simon Says Stamp Wednesday Challenge Blog is coming to an end. 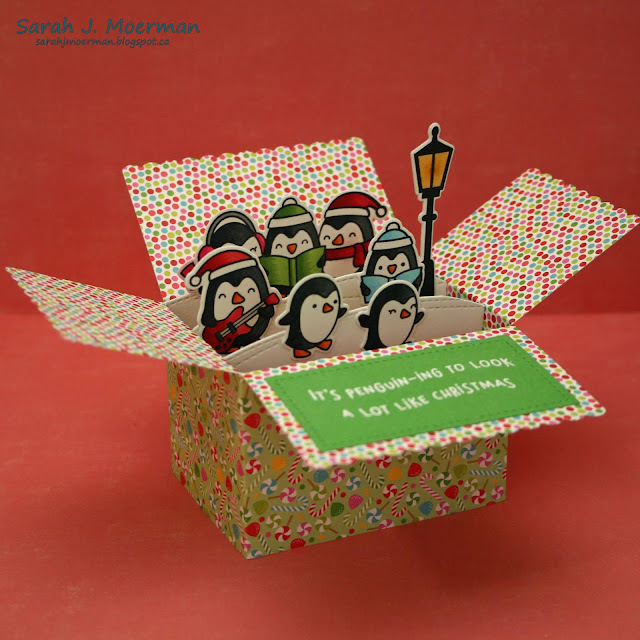 I've had so much fun joining this wonderful group of ladies in sharing our creations this past month. Thanks so much to Lols and everyone at Simon's Wednesday Challenge Blog for having me! This week's challenge is Anything Goes and we'll be highlighting product from Hero Arts but you can use anything you like. 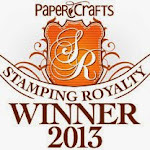 Please visit the Simon Says Stamp Wednesday Challenge Blog for all the details and to submit your entries. 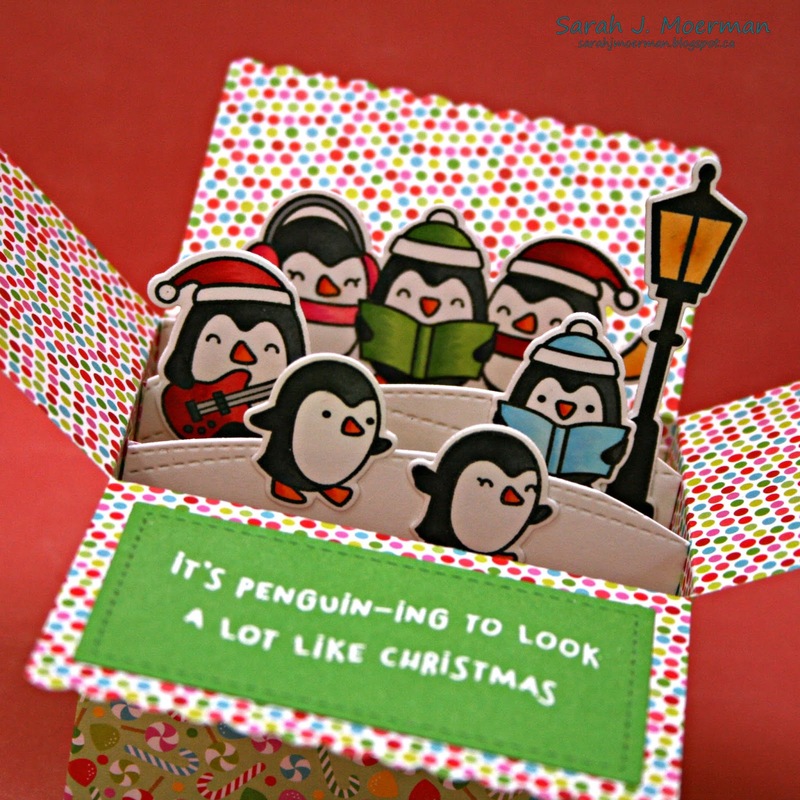 One randomly choosen winner will receive a $50 Gift Voucher to the Simon Says Stamp Store. For this week's challenge I made two cards using Hero Arts Ring Bold Prints and Everything Flower Background Stamps and their Hand Drawn Everyday Messages Stamp Set. I white heat embossed both background stamps on Tim Holtz Watercolor Cardstock and coloured the images with Zig Clean Color Real Brush Markers. I heat embossed the sentiments on Simon's Black Cardstock. 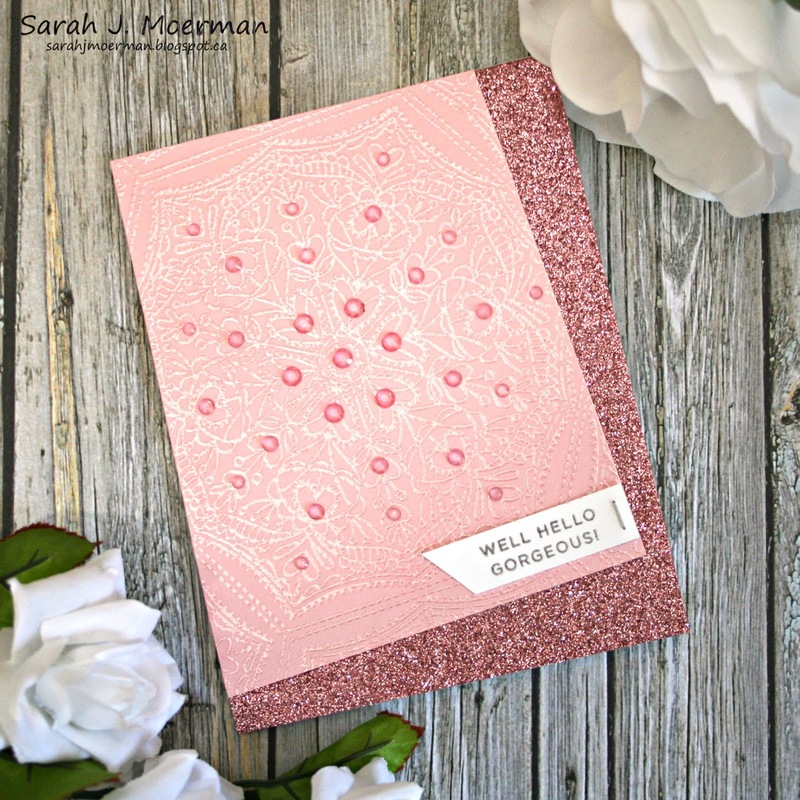 For the floral card I added some Simon Says Stamp Crystal Reflections Sequins to the centers of the flowers and I embellished the circles card with Studio Katia Iridescent Bubbles. Thanks for stopping by! I hope you'll join us in this week's Simon Says Stamp Wednesday Challenge! I'm popping by to share a final card featuring the Simon Says Stamp October Card Kit. For today's card I took one of the exclusive Gina K printables from the kit and painted the image with the alcohol inks that came in the kit as well. 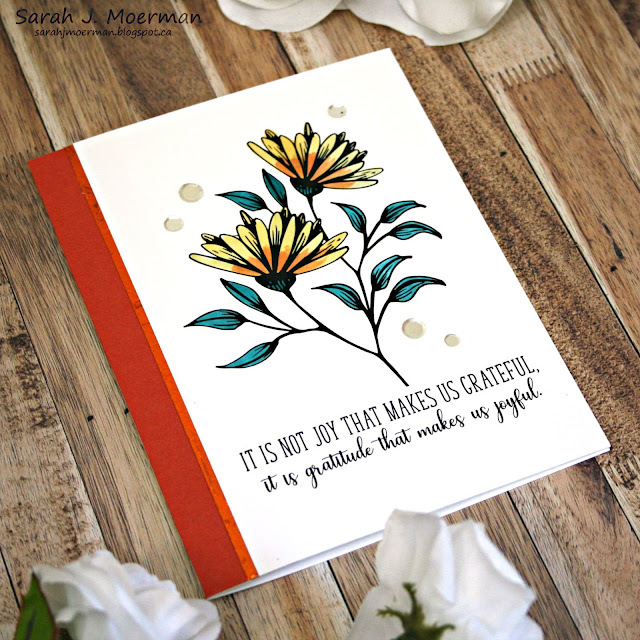 I put a few drops of each ink on my craft sheet, added a bit of blending solution, and used a paint brush to paint the floral image. I then trimmed the sides down and added some of Simon's Moonshine Confetti. I took a strip of Simon's Burnt Orange Cardstock and ran some scoring tape down the edge of it before placed some of the Gina K Sweet Mango Foiling over top. It stuck to the tape creating a foiled strip. The Simon Says Stamp October Card Kit sold for $34.99 USD + shipping. This kit how now sold out. If you'd like to receive future kits for $29.99 USD + shipping per month, you can SUBSCRIBE HERE. This is the best way to make sure you don't miss out! 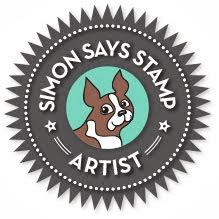 Heidi, owner of Simon Says Stamp, has given me an extra Simon Says Stamp October Card Kit to pass on to one of you! 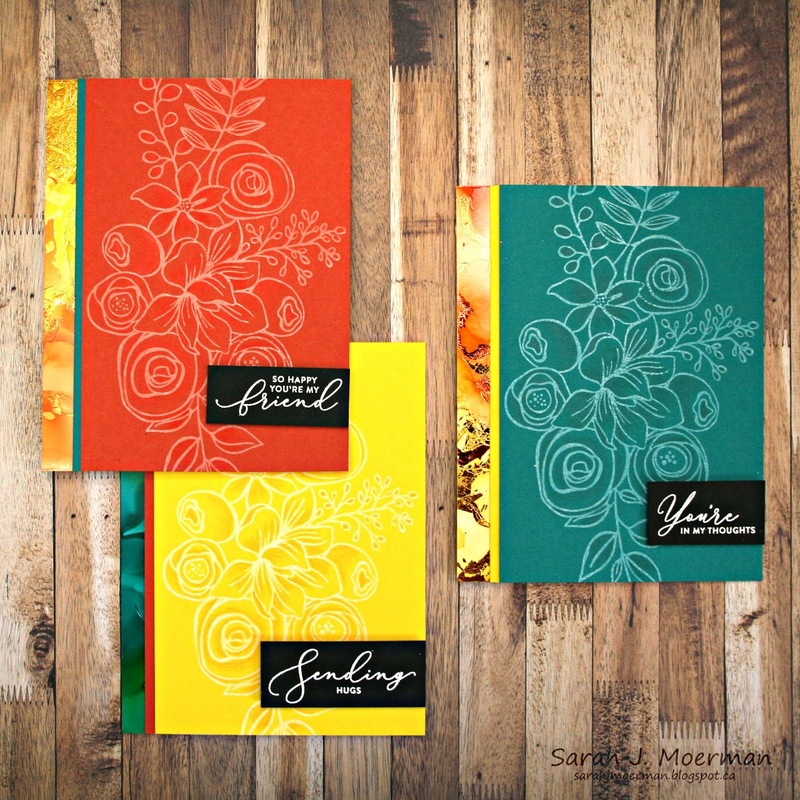 Just leave a comment on any or all of my October Card Kit posts and I'll announce a winner Saturday September 29th. 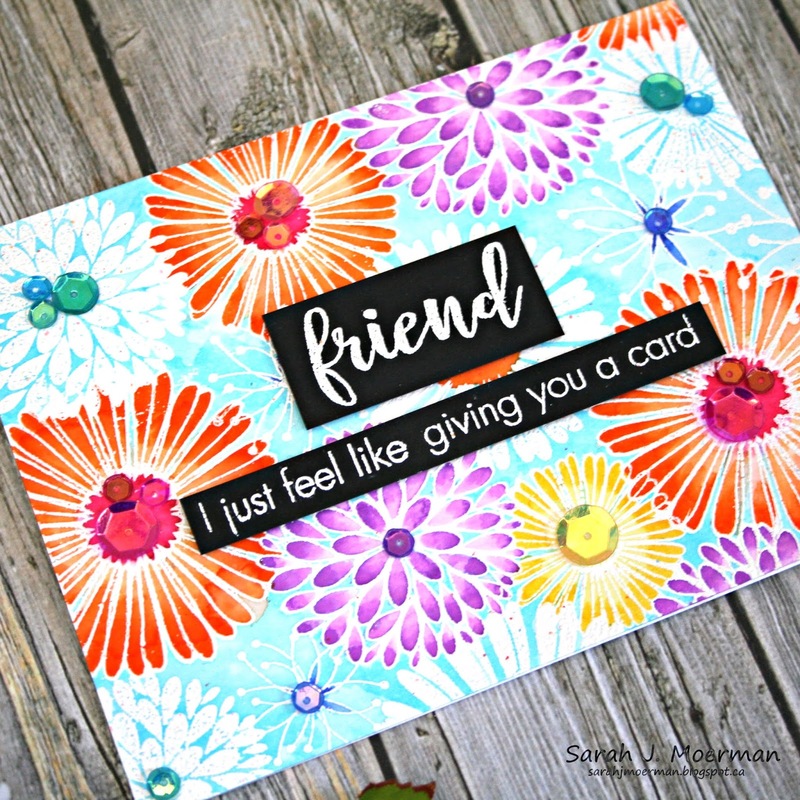 Simon Says Stamp October Card Kit: Tone on Tone Cards & GIVEAWAY! 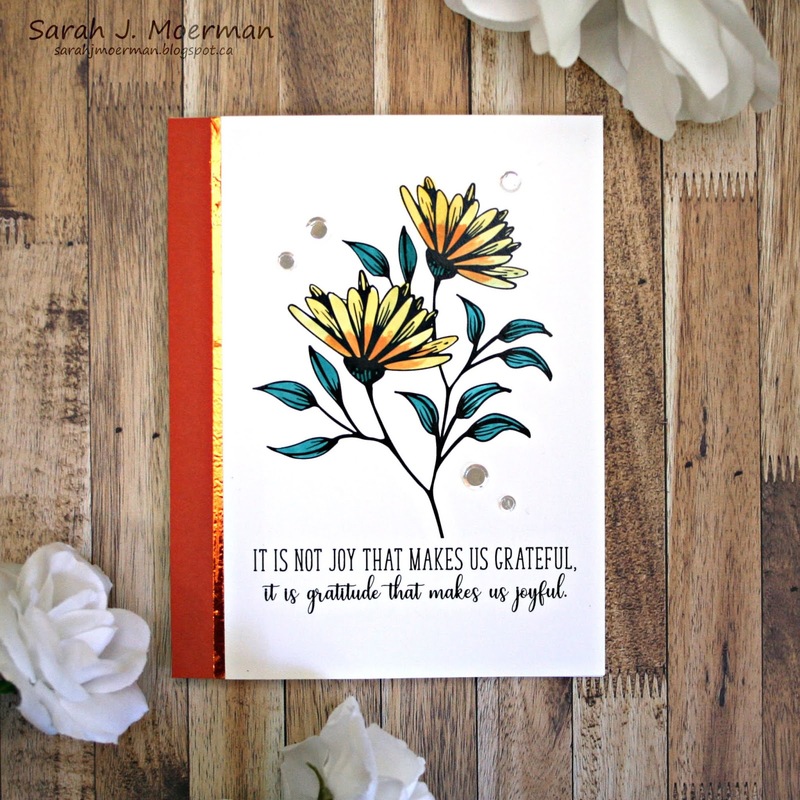 I'm popping by to share some more cards featuring the Simon Says Stamp October Card Kit. 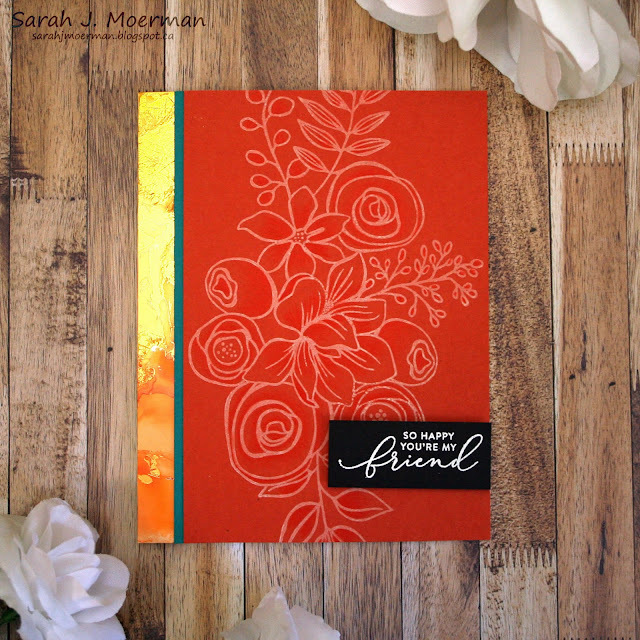 I stamped the floral image on the 3 colours of Simon's Cardstock included in October's Card Kit: Burnt Orange, Bright Yellow, and Peacock using Simon's White Pigment Ink. Once dry, I colored the images with matching coloured pencils to add some depth (this shows up better in real life and in the close up pictures below). 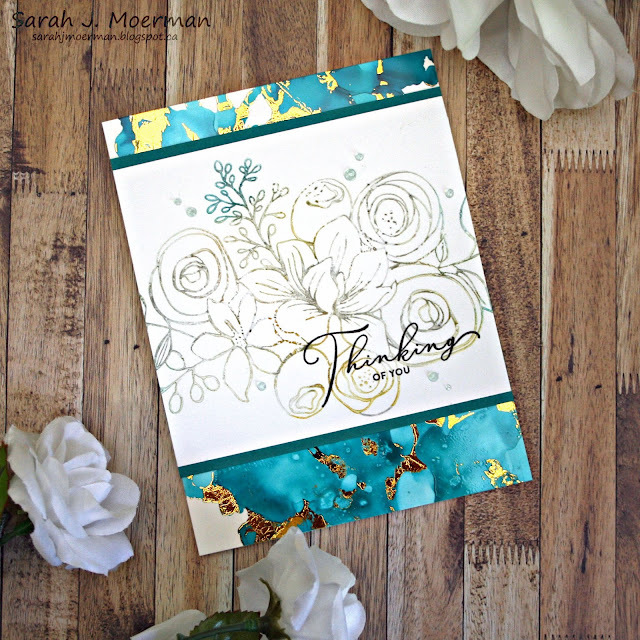 I added strips of yupo paper with alcohol inks/ gold foiling to the left of the stamped images as well as smaller strips of one of the other colours of Simon's Cardstock from the kit. I white heat embossed sentiments from the kit's Sketched Flowers Stamp Set on Simon's Black Cardstock I had on hand and adhered them with foam tape. SSS October Card Kit: Alcohol Lift Thinking of You & GIVEAWAY! 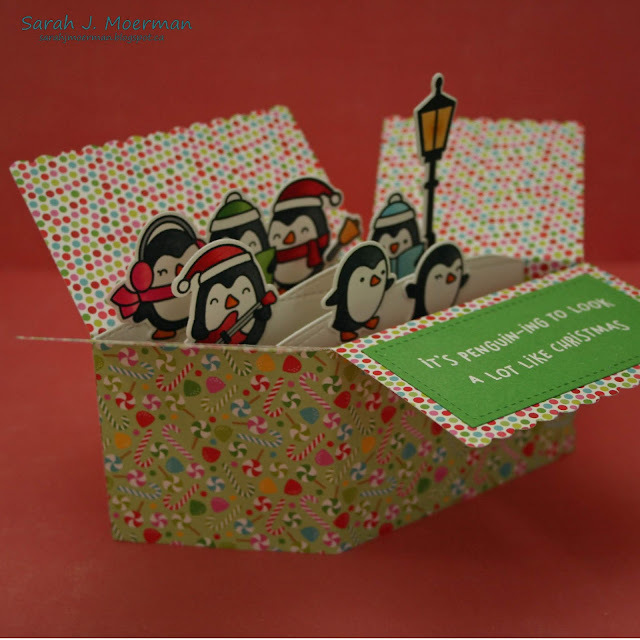 My Simon Says Stamp October Card Kit finally arrived Tuesday and I spent yesterday creating, taking pictures, and editing. 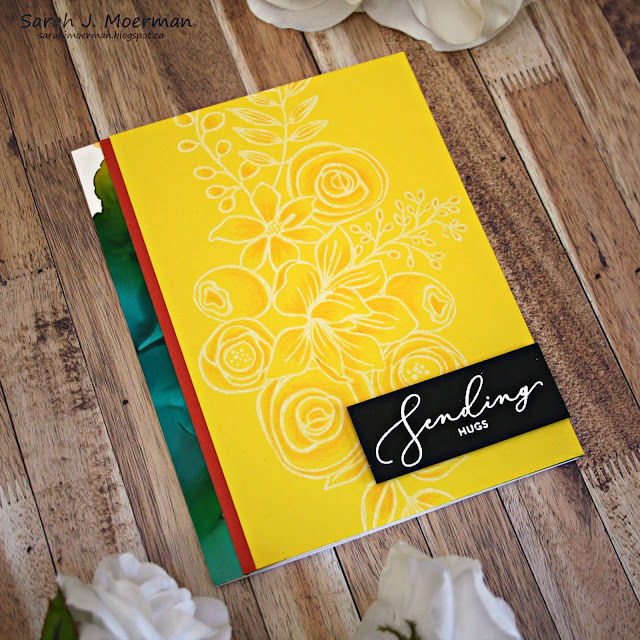 I love how the Simon Says Stamp Card Kits have been so technique-based lately, giving me the opportunity and motivation to try things I either haven't tried before or have struggled with in the past. Foiling is something I have had a really hard time with and yet I was able to make it work for me in a couple of different ways with this kit. Yay! Unfortunately (but not surprisingly) this card kit is already out of stock. Fortunately I have one to give away here! I used the Stream Alcohol Ink along with Blending Solution and Snow Cap Mixative on the Simon Says Stamp White Yupo Paper to create my background. I used the Distress Spritzer Tool to move the ink around. While it was drying (partly dry with some wet spots), I covered the paper with Gina K Wild Dandelion Fancy Foil, lightly rubbing over top of it. 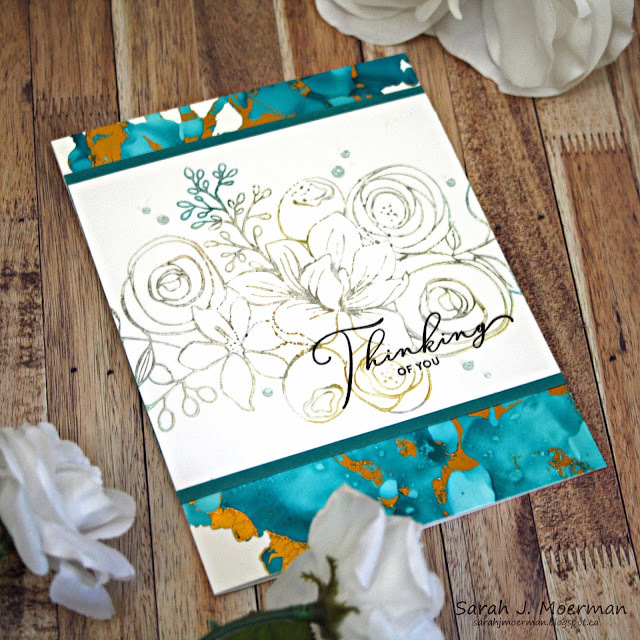 When released, the foil stuck to the areas that had still been damp, creating a beautiful marbled look. 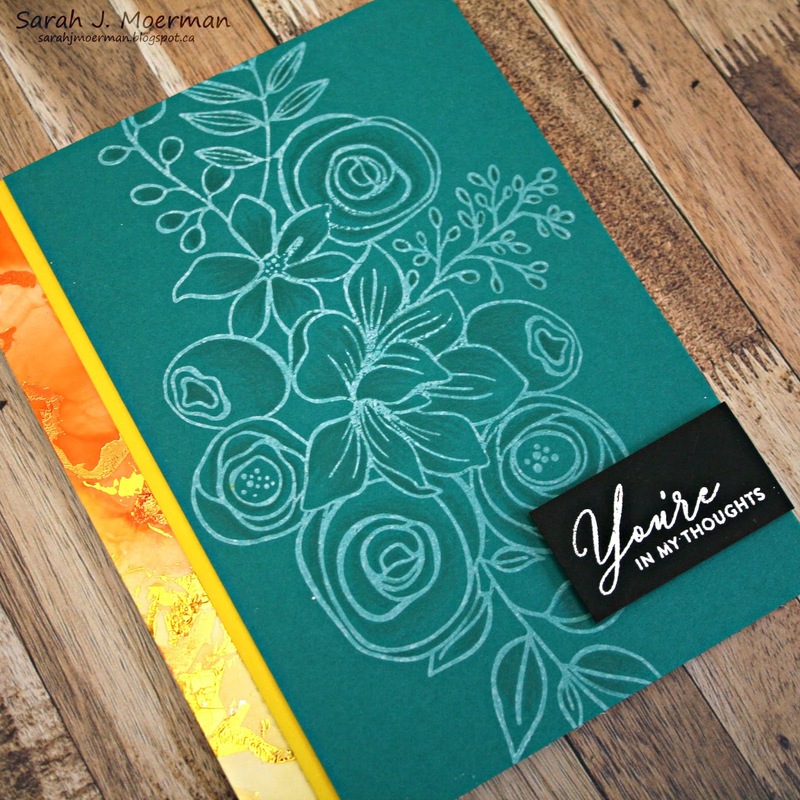 I had planned on creating a card with an alcohol ink background where I had stamped the floral image from the Sketched Flowers Stamp Set with Alcohol Lift-Ink to lift the image off the background. The background I had created was too busy looking and the detailed florals got lost in it. Rather then throw in the towel completely, I took the stamp with the lifted ink and stamped it on another piece of Yupo Paper. Once dried, I added a sentiment from the same stamp set, matted the panel with Simon's Peacock Cardstock, and adhered it to the marbled background. I finished the card off with some Sea Breeze Nuvo Jewel Drops. The Simon Says Stamp October Card Kit sold for $34.99 USD + shipping. As I mentioned at the beginning of my post this kit how now sold out. If you'd like to receive future kits for $29.99 USD + shipping per month, you can SUBSCRIBE HERE. This is the best way to make sure you don't miss out! It's Wednesday which means it's time for another Simon Says Stamp Wednesday Challenge! I'm enjoying my time as guest designer. 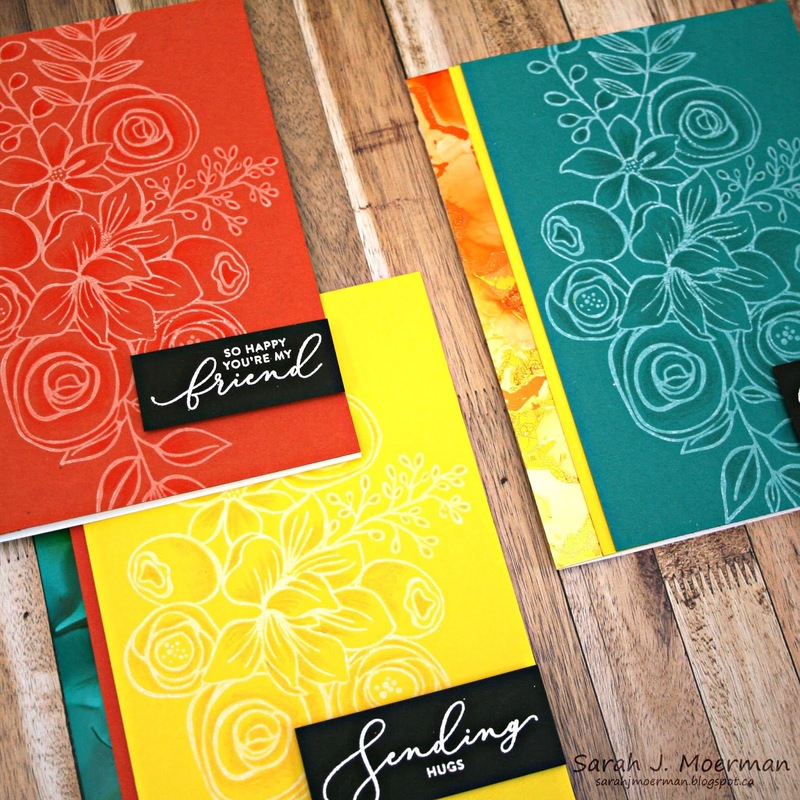 This week's challenge is Bling It On and we are featuring product from Studio Katia. 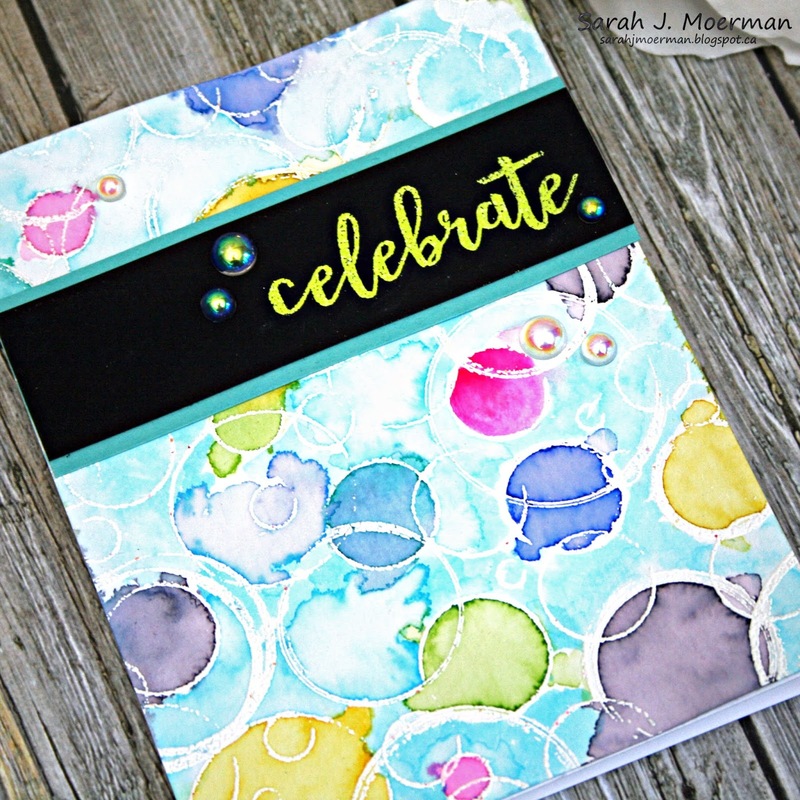 Please visit the Simon Says Stamp Wednesday Challenge Blog for all the details and to submit your entries. 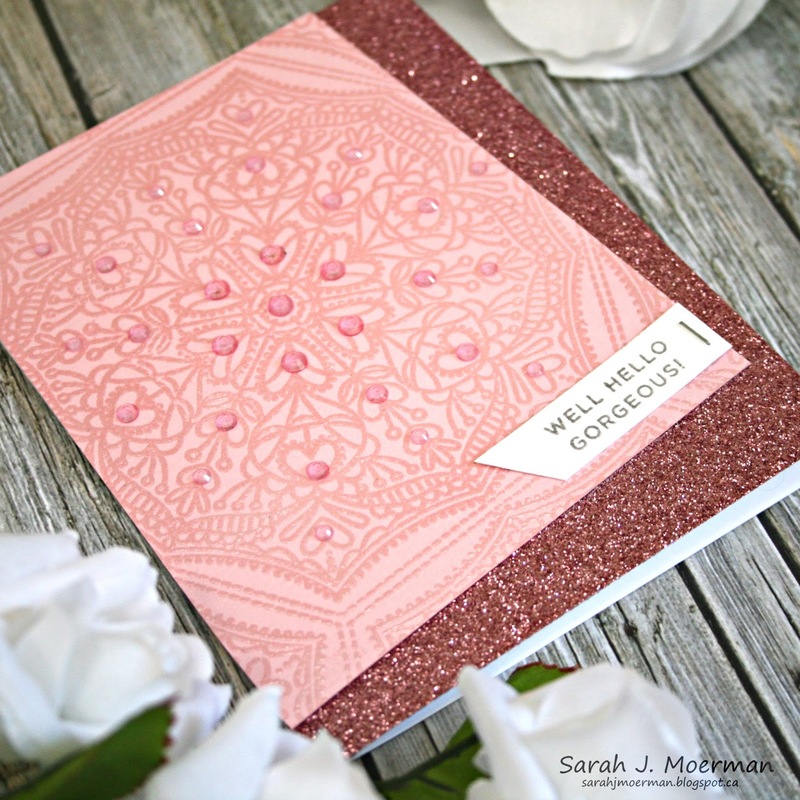 For this week's challenge I'm using Studio Katia's Cupid's Kiss Crystals which I've paired with Simon Says Stamp's Cora Background Stamp, Hero Arts White Satin Pearl Embossing Powder, and some Simon Says Stamp Glitter Paper. I'm looking forward to seeing all your blinged up entries! I'm back today guest designing for the Simon Says Stamp Wednesday Challenge Blog! 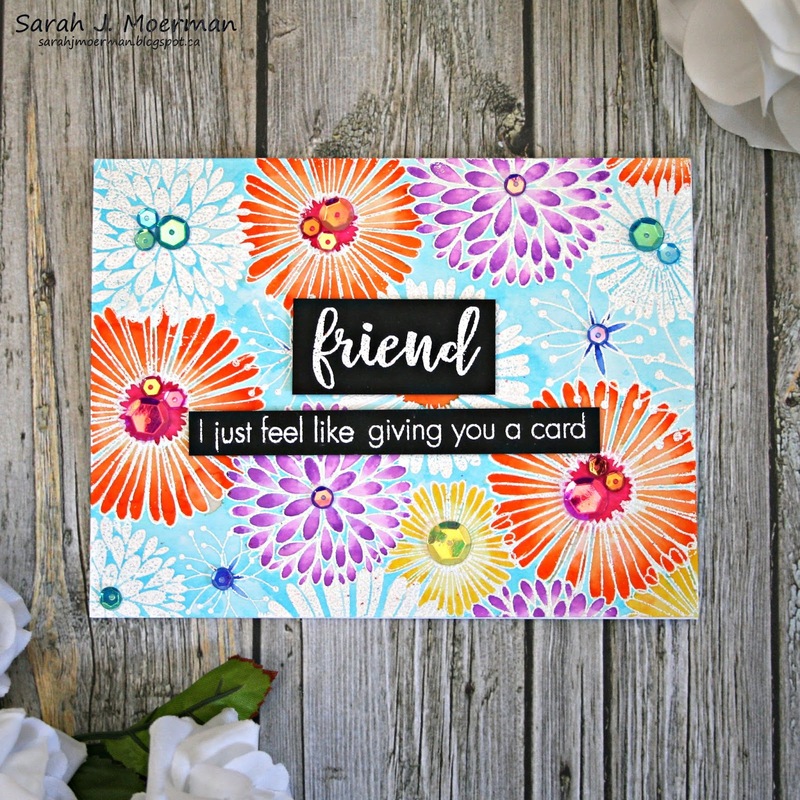 For this week's challenge I'm using the adorable Lawn Fawn Here We Go A-Waddling Stamps and Dies along with the Lawn Fawn Scalloped Box Card Pop-Up Dies. This was my first time using the Pop-Up Dies even though I've owned them for a few months now and I can't wait to use them again! 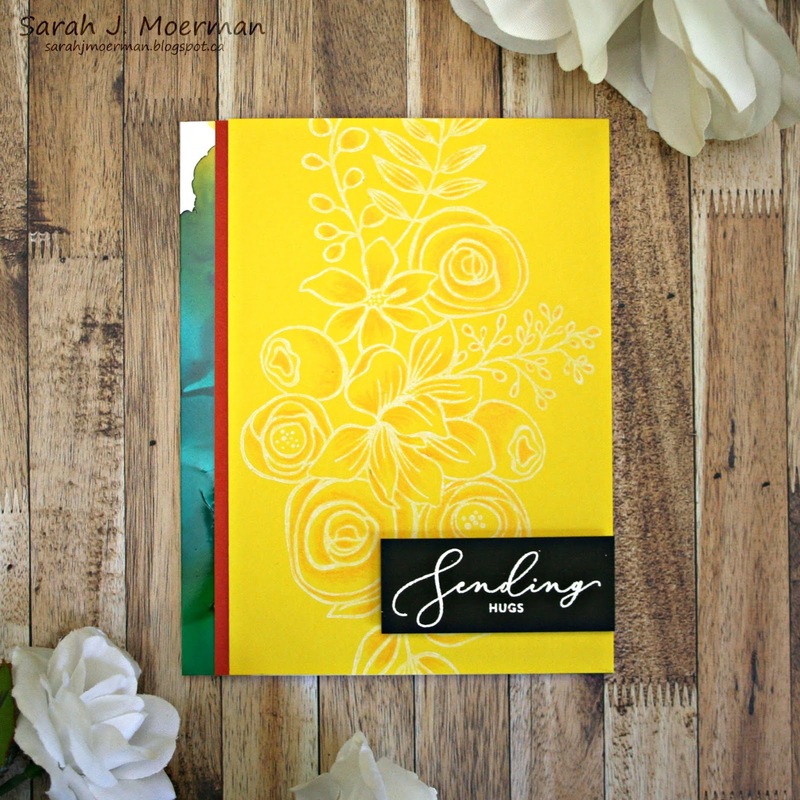 The concept behind them is brillaint and when folded flat the card fits in a standard A2 envelope. Thanks for stopping by! 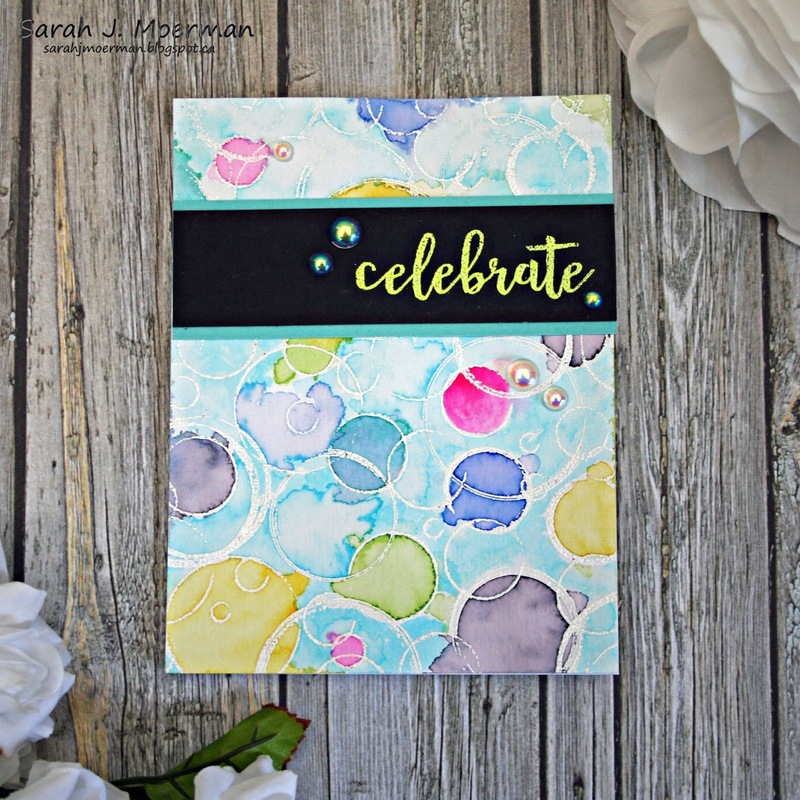 I hope you'll join us for this week's challenge! 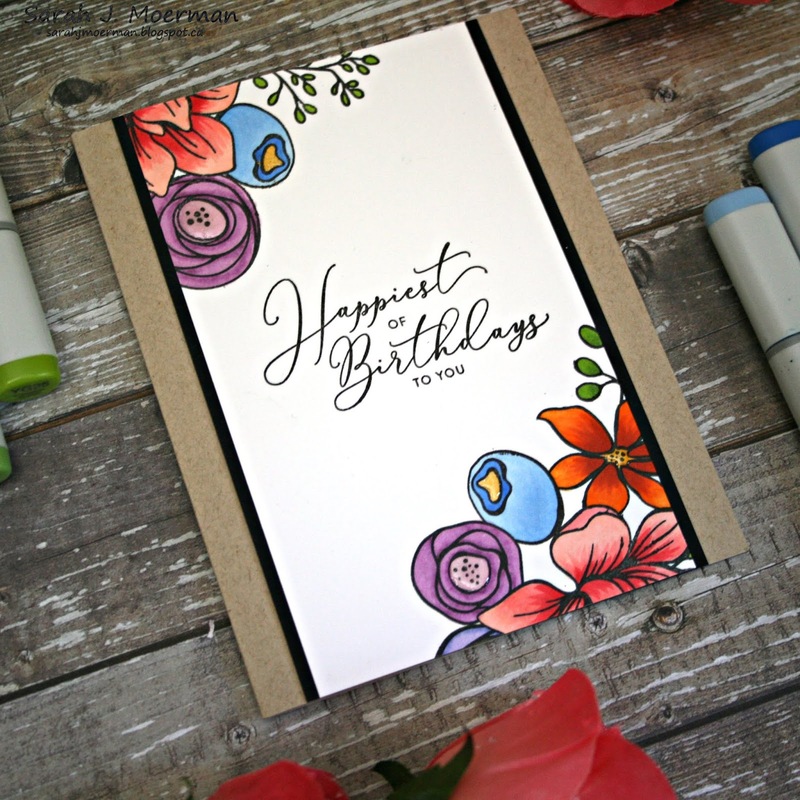 Simon Says Stamp STAMPtember Party!